Book 1 in the LuxSci Internet Security Series. 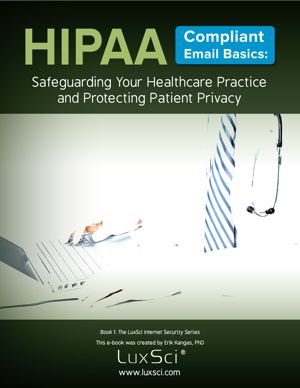 This LuxSci eBook is your well-researched guide to both a critical understanding of the specific issues and concepts of HIPAA, HITECH, and the Omnibus rule, and their practical application to your business with respect to email, so that you stay compliant with these government standards. This document will provide a framework for your health care entity to keep the privacy of patient information front and center. Providers will have the necessary tools to meet all requirements established by HIPAA to access email outsourcing services. 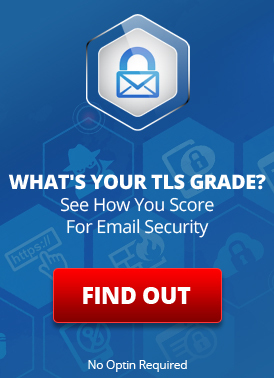 What exactly does HIPAA say about Email Security? This entry was posted on Thursday, February 25th, 2016 at 7:20 pm	and is filed under LuxSci Library: HIPAA. You can skip to the end and leave a response. Pinging is currently not allowed.